I'm back and excited to share some great things with you! During my break, I had time to relax and be rejuvenated. We all know that that's needed sometimes. I'm happy to say that along with some upcoming collaborations, one of my goals on the blog is to be more personable. I share a lot on Facebook, but I want to share more with you all here so you know more about who I am. One of the first things I'm excited to share is that I will soon be creating a look with another piece sent to me from eShakti. 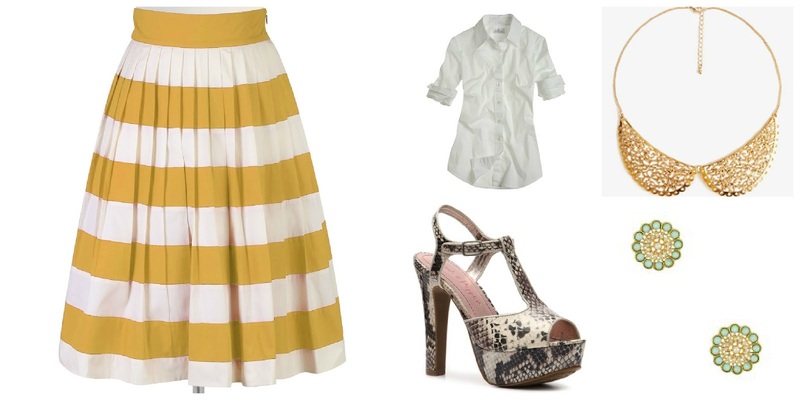 You may recognize this striped skirt from a previous post. It automatically caught my eye when I saw it and I can't wait to style it. If you didn't know, I'm a huge fan of mixing prints. There is just something about it that is fun and different. Along with mixing stripes and snakeskin, I feel that the denim shirt gives it a comfortable feel without being too dressed up. The great thing is that you could take a white button up shirt and change the whole look of the outfit. With the white button up shirt added, it gives it a more professional look that could be worn to work or even church. What do you think about these looks? Are you ready for spring? 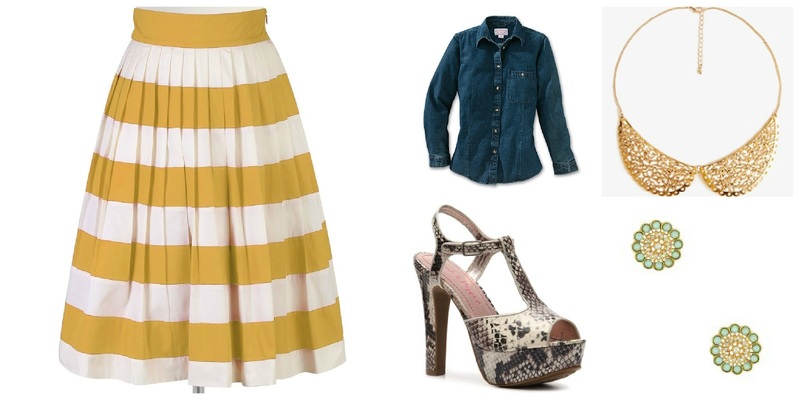 You can save 20% off any order from eShakti until March 20, 2013.
cute outfits altogether! Also, thanks for the comment on my wedding post, i really appreciate it :). Thanks Tranae and especially, thanks for stopping by! The necklace is really cute!